There have been a couple of writers I have come across who inspire me to write history. 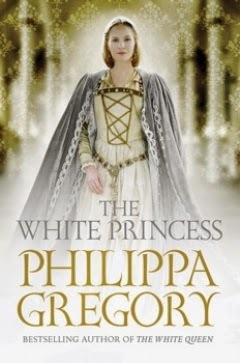 Their work proves that history can be interesting, multi-faceted, and come alive on a page, and one of these is Philippa Gregory, whose female-led histories of Tudor and Plantagenet England have been best sellers for about twenty years now. Her novel The Other Boleyn Girl is the foremost novel on Henry the Eighth, and gives a strong credibility in the minds of readers to one possible version of events in the Tudor period; that before Henry Tudor married Anne Boleyn, he bedded her sister Mary and fathered two children with her. It has been adapted into a BBC miniseries as well as a major movie starring Scarlett Johansson and Natalie Portman. 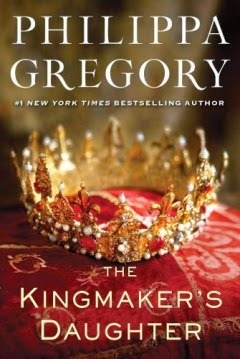 Gregory's latest royals series centres around the women of the Cousins War (since come to be known as the Wars of the Roses) has been every bit as successful (if not more) than her novels about Tudor wives, and the first in the series, The White Queen (which followed the life of Elizabeth Woodville, wife of Edward the IV and mother of Elizabeth of York) was also adapted for television. 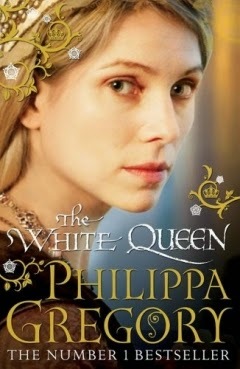 I have strong memories of reading The White Queen and being amazed by the depth of Gregory's insight into the complicated women of court. 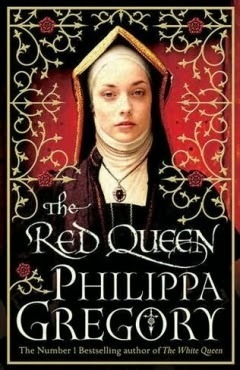 More amazing still was her ability to switch gears, and then write about Margaret Beaufort (mother of Henry VII) in The Red Queen, particularly as the protagonist in this book is viewed with much ire in the previous novel. By coming at history from many different perspectives, Gregory successfully recreates the map of allegiances that would really have been present at the time, from the points of view of the women who were silent players in court intrigue. The third book in the series represents a chronological shift back in time-- to the court of Margaret d'Anjou and Henry the VI (The Sleeping King) who were of the House of Lancaster. A portrait of this deeply unpopular queen is told not through her own eyes but through those of Jacquetta Woodville, a member of the Royal family of Burgundy, who married an English Lord for love after the death of her first husband. Jacquetta was a great friend to Margaret d'Anjou, but would later marry her daughter Elizabeth (some say through witchcraft) to the son of the enemy, Edward the IV, the eldest son of the House of York. Both Jacquetta and Margaret d'Anjou acknowledge the work of fate, and the great wheel of fortune which is constantly turning, advising the women they care for to not attempt to fight these turns but instead to show bravery in the face of them. While I found it interesting that Jacquetta warranted a book, but not Margaret d'Anjou, as a writer, I understood the choice. Whilst writing Elizabeth's story, Gregory stated that she was so taken with Jacquetta as a character, that she knew she would have to come back to her. 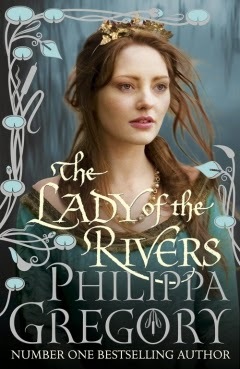 By telling Jacquetta's story, Gregory also introduced a little of the mysticism which surrounded the entire Rivers family-- at one point, Jacquetta Woodville is accused of witchcraft, and indeed in the next novel, the one I have just read, The Kingmaker's Daughter, Anne and Isabel Neville are certainly terrified of the supernatural advantage the Rivers women seem to have. You may say, what place does magic have in history, and this is a fair point; but magic has played a major role in history, whether it was real or not. The accusation of witchcraft was often made to support explanations of things which otherwise did have no explanation. Some truly strange, and lucky (or unlucky) things did count as major events in the Wars of the Roses, and whether or not Jacquetta practised witchcraft, the people of England believed she did. As Gregory seems to argue, she may have believed she had some influence in nature also. This brings me to the book I have just read, and the one I am reading. Life gets away from us sometimes. While previously I have been quick to binge on Gregory's work, I have not read any instalments in the series for some time (although I have bought them when they are released). The final book in the series was released this week, and I decided that I needed to catch up. I dug out my copy of The Kingmaker's Daughter. I did not expect it to be particularly good; in previous novels, Anne Neville has been cast as sickly, simpering, whinging, a hanger-on, a nobody. While her father, Richard Neville, Earl of Warwick, earned his nickname The Kingmaker for his support and subsequent success in winning the crown for the House of York, Anne and her sister Isabel are constantly faced with their own mediocrity in the great courts of England. They are lower in the ranks than beautiful Queen Elizabeth and her large pack of beautiful daughters. Forced to compete for their father's love, they seem to sway between constant bickering and deep, loyal love for one another. This portrait of Anne Neville, in her 'own words' is compelling in her accessibility to the reader; yes, Anne is often fearful, and she is frequently jealous or wishing herself in a different situation, but she is also faced with difficult decisions, and she does the best she can. While it seems clear that Anne will never be a great heroine, the reader cannot help but feel for her, when she is little more than a pawn for her father's enemies to play with and then when she is a young woman in love, right through to when she is a devoted wife, and grieving mother, seemingly being lied to by the man she loves, Richard III. 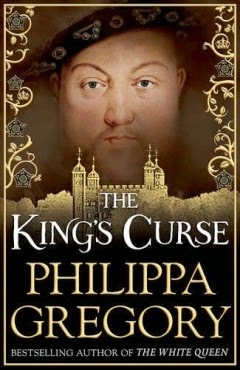 Richard also is very different to the way history has seen him, particularly in the Tudor-funded plays of Shakespeare. While many recognisable elements are there, such as Richard's failing arm, we also see that he is the loyal brother of Edward, the charming son of York, and the gallant lover of Anne Neville, his childhood friend, who is trying to be a fair ruler in a court that is influenced by the large Rivers family, despite it being a York kingdom officially. The mystery of the Princes in the Tower is cast in a new light in this series, each of the major players seeming to have nothing to do with it. While Gregory seems to have theories, she still leaves enough doubt for the intrigue to go on. She leaves her reader wanting more, and this is a great skill. I urge anyone who is interested in Tudor and Plantagenet history to check out these books, but also to spend some time getting familiar with Gregory's website, which features a family tree with pop ups explaining facts about each of the major players. The final book, The King's Curse is published by Simon and Schuster.